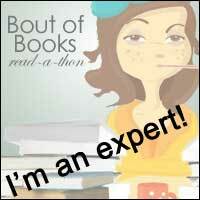 Review: Well once I picked this book up, I couldn't put it back down again, that's for sure! 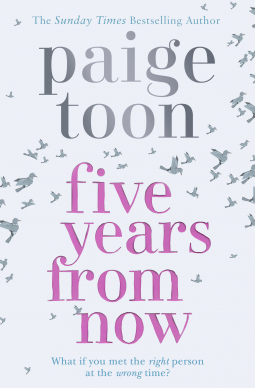 Paige Toon always knows how to write a page turner. Now this book has fairly long chapters, which normally is a little off putting for me but it just meant that I stayed reading this book for even longer in one sitting and of course 'one more chapter' before bed turned into many many pages! Aside from that, I love love loved the way this book is structured. It reminded me of One Day in that respect because we have a prologue which introduces us to Nell and her Son Luke and then we flash all the way back to when she was five. The book continues on in increments of five years that like, 10, 15 and so on until we reach the epilogue, thank goodness there was an epilogue. I love the fact that we got to revisit these characters again and again and fill in the gaps five years at a time. Nell as a character is great to follow because she is just a lovely person who knows the difference between right and wrong. She is like a best friend or a sister, not someone who necessarily knows what direction she wants to go in life but knows that she wants to surround herself with love and happiness. Van is very similar in this way, he just wants to be happy and for his family to be happy as well. Like Nell, he has a strong moral compass, I really liked that about both of them. We are also introduced to quite a few secondary characters who can often play the third wheel in a way. One character, Edward, is introduced in the Ten chapter and the friendship between the three of them reminded me a little of the friendship between the three main characters in the musical Blood Brothers, there was great tension between them all, the kind that makes you really really want to keep reading and find out more. As I mentioned, neither of our main characters really have a great life plan, something which I really liked about the book and they let their circumstances lead them in the direction which suits them best. Sometimes these circumstances are happy, sometimes they are challenging and of course sometimes they are sad. I will admit I had 2 pretty major cries during this book. One at the end of course and another part way through so, as will all Paige Toon novels, have a couple of tissues ready! As always, the book is set between the UK and Australia and due to the fact that the UK setting is Cornwall there is a lot of surfing involved. Now I have no interest in surfing whatsoever but it didn't put me off reading about any of the events or the characters in this book, so have no fear that surfing will take over, even if you have no interesting in waves and boards and wetsuits, these characters will guide you along and you will still have a good time! As I say, this was a fairly fast read for me, I wanted to try and make it last longer but I really had to find out what happened. There are certain aspects of each chapter that only really become clear when you start reading the next chapter and so you just have to keep reading. There were moments I could relate to, moments that made me laugh and moments that made me cry. All the while though, I enjoyed that feeling of escapism that a Paige Toon novel always brings with it and I am so glad I was able to read Nell and Van's story, it really is one of legend!